Labor Day Deals From Traxxas « Big Squid RC – RC Car and Truck News, Reviews, Videos, and More! 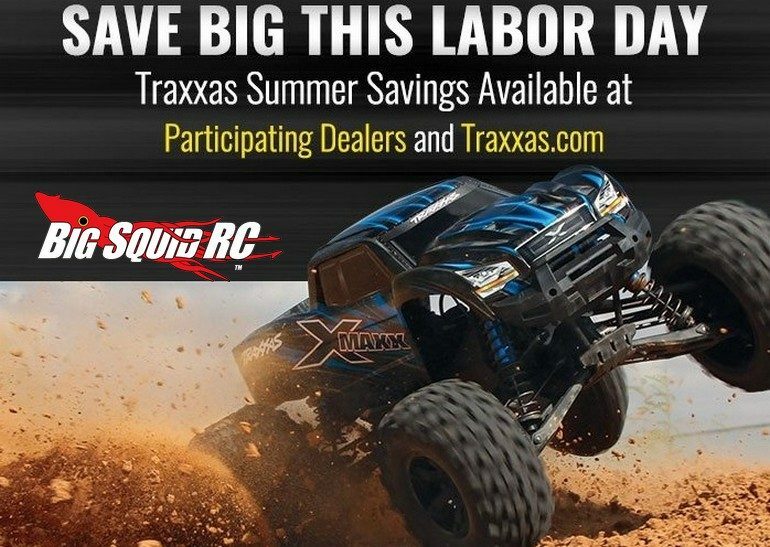 The good folks over at Traxxas have announced a bunch of money saving deals for Labor Day. The deals are available from Traxxas.com, as well as from participating local hobby shops. What exactly are the hot deals? To get all the finer details and to learn more about all the products that Traxxas has to offer, simply hit up This Link to visit their website. Want more Traxxas news? Find it Right Here on Big Squid.